At Cowley Road Tyres and Exhaust Centre we stock and extensive range of tyres and exhausts to fit the widest range of vehicles. We have full servicing facilities including clutch replacements, gearboxes, MOT's, and Free preMOT checks. 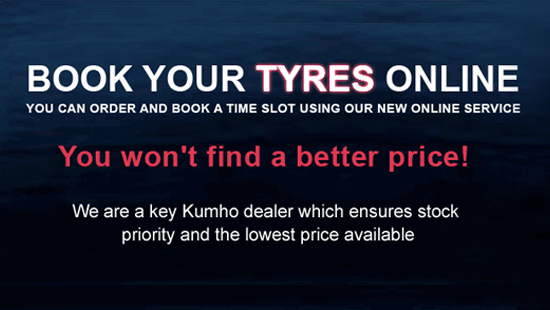 Thank you for visiting the website of Cowley Road Tyres. We are an independent family-run company who has built a reputation over the last 38 years for reliable, genuine and trustworthy service. At Cowley Road Tyres and Exhaust Centre customers are at the heart of our business and we always try to consistently exceed their needs. At reception a warm welcome is given by our friendly receptionist who has extensive knowledge of the tyre and exhaust business. We provide a clean, safe and inviting customer waiting area, with a cup of freshly brewed coffee and a biscuit to greet you on arrival! Tyre checks - covering tyre condition, tread depth, wheel alignment, wheel balancing and inflation. Give Cowley Road Tyre and Exhaust Centre the opportunity to quote for your next tyre, exhaust or brake requirement and experience the difference in service for yourself.